Many Canadians have been closely following the beginning of the Trump presidency, watching in shock and horror as Trump passes a series of authoritarian executive orders. One executive order in particular, planned for the near future, is poised to resurrect one of the darkest chapters in recent American history. I’m talking about the potential reopening of CIA “black sites”—secret prisons where detainees were systematically tortured during the War on Terror. In 2009, President Obama ordered that these black sites be closed, consigning the episode, perhaps prematurely, to history—alongside a long list of past American crimes. Accompanying it on that list is a similarly chilling episode that played out right here in Montreal, but which has since been largely forgotten. Nestled cozily at the foot of Mount Royal, in the middle of the McGill University campus, is the Allan Memorial Institute. Sixty years ago, the now-weathered building was an unlikely accomplice to a series of human experiments designed to study methods of drug-induced mind control. It was the height of the Cold War. The American military was convinced that the Soviets were brainwashing its captive soldiers. 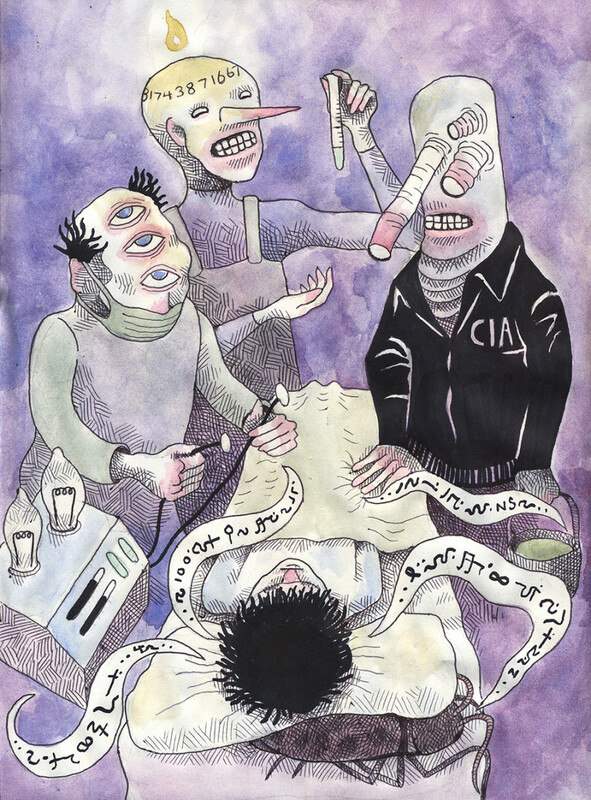 Afraid of conducting research on U.S. soil, the CIA worked to set up human experiments in Canada and found willing collaborators at McGill University. The experiments were part of a top secret program called MKUltra, covertly funded by the CIA and headed by the psychiatrist Donald Ewen Cameron, former head of the Canadian Psychiatrists Association. The project was part of a broader initiative by the U.S. government to counter alleged Soviet advances in the field of psychological manipulation. Project MKUltra eventually ceased. All evidence of its existence was quietly tucked under the rug. It was only in the late 1970s, when a trove of previously classified information was released through a Freedom of Information Act request, that the full extent of the crimes committed at the Allen were revealed. The findings were grim. Over the course of seven years, Dr. Cameron and his team committed ghastly affronts to human dignity. Patients would enter seeking help for standard mental health issues—postpartum depression, anxiety, even marriage counseling— and would be made to sign contracts giving Dr. Cameron full discretion over what treatments they received. Patients had near-lethal amount of electric shock treatments applied on a daily basis. Megadoses of drugs such as LSD were administered regularly. Patients were subject to full sensory deprivation techniques—taking place in horse stables converted into solitary confinement cells—in an attempt to break down their senses of time and space. They were put into induced comas that lasted for weeks at a time. While patients were comatose in what were referred to as “sleep rooms,” Cameron would place tape recorders beneath their pillows and play statements on a loop. The result was that the victims—many of whom were involved unwittingly—were reduced to inert, vegetable-like states, leaving them with no memory at all of their lives before and during the experimentation. Dr. Cameron, who at that time was the president of the Canadian Psychiatric Association, pioneered a procedure called depatterning, which was to become the basis for his research at Allen Memorial. Cameron theorized that, using the techniques mentioned, a person’s brain could be completely wiped and reprogrammed. He justified the torture by hypothesizing that it could cure schizophrenia and other mental disorders. In the end, Project MKUltra failed to produce a Manchurian Candidate. Cameron was unable to forge a new human being from the empty shells he created. Yet while it failed in its stated goals of brainwashing subjects, the research conducted did serve the American military. It created scientific torture techniques that would be used in the U.S.’s military campaigns. In the 1980s, as America was sponsoring dirty wars against real and imagined communists in Latin America, the CIA trained anti-communist governments and right-wing paramilitaries in torture techniques. Through a Freedom of Information request, the press got a hold of a CIA document called Kubark Counterintelligence Interrogation, which formed the basis of these trainings. The Kubark manual—originally written in 1963, the year MKUltra ended—is a 128-page document that makes multiple references to experiments at McGill University, notably those involving sensory deprivation. It describes how to place subjects into stress positions, how to use electric shock, and other torture techniques used to break down resistant sources of information. These are the same techniques that were later used by the U.S. armed forces in the CIA’s black sites during the War on Terror. Much like the proposed reopening of those black sites today, the MKUltra project was the result of an unfounded sense of paranoia and fear and came with a tremendous human cost. And if Trump is willing to forage these sordid depths once again, it begs the question: what role will Canada play this time? It actively developed the torture techniques used against America’s real and phantom enemies during the Cold War—will Canada continue to turn a blind eye? The filmmaker Chris Marker once said, “Nothing sorts out memories from ordinary moments. It is only later that they claim remembrance, when they show their scars.” I have long had a feeling that inanimate objects also retain such memories. If so, the weathered walls of the Allan Memorial Institute would have a lot to divulge to all of us, for they have witnessed, first hand, the true banality of evil. Maybe then we would be cured of our willful amnesia.